London’s solid and highly respected event series The Hydra, reveal phase one of their series 2015 line-ups including some of the most exciting and influential names from across the board of electronic music. Starting the season on August bank holiday weekend with two special loft parties featuring Âme and Henrik Schwarz on Saturday 29th and Dixon on Sunday 30th, the series will continue with some hefty pairings as The Hydra joins forces with leading clubbing brands to bring the likes of Daphni for a marathon all-night-long session on Friday 20th November and Ostgut Ton Zehn, for their tenth anniversary, with Nick Höppner, Answer Code Request and Anthony Parasole already announced for the special ten-hour session on December 12th. 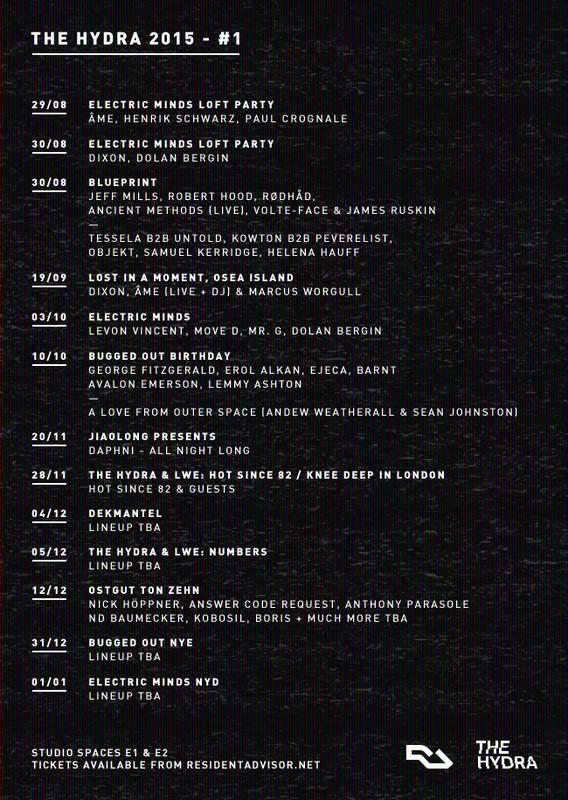 Also celebrating their birthday, Bugged Out have enlisted George Fitzgerald, Erol Alkan, Ejeca and Bartas well as Andrew Weatherall and Sean Johnston‘s lauded ‘A Love From Outer Space‘ project for their party on October 10th. Keeping the cards close to their chest, lineups are still to be revealed for Dekmantel‘s first ever full-scale London party, plus collaborations with Numbers, LWE and Bugged Out. Working alongside Blueprint with Jeff Mills, Robert Hood, Rødhåd and replaying the musical integrity ofElectric Minds who bring to the table Levon Vincent, Move D and Mr. G, the Hydra’s mission is to collaborate with the finest artists, record labels and collectives from around the world, bringing the very best underground electronic music to London’s doorstep. The Hydra will be setting out for a second season at Wapping’s Studio Spaces E1 and their intimate loft space at E2 on Kingsland Road. Starting out as a nomadic clubbing movement, their first year at Studio Spaces firmly placed both brand and venues amongst the UK’s leading nightlife offerings. 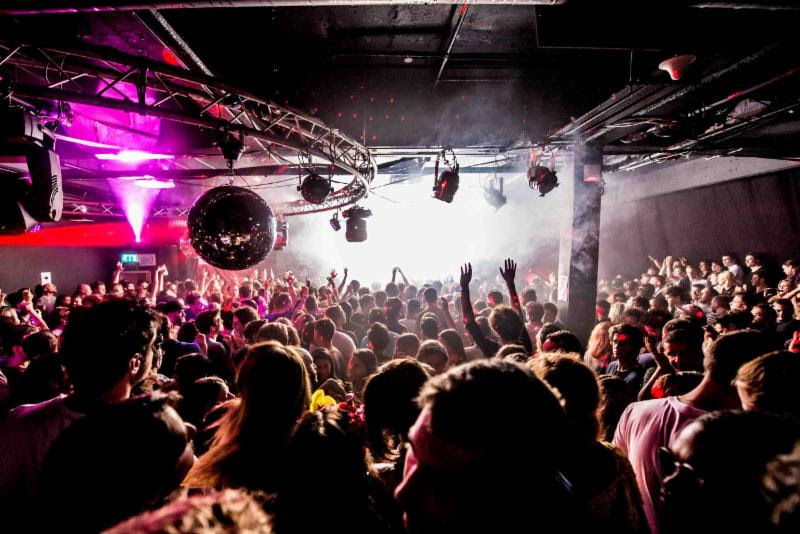 With an enhanced sound system and improved layout at E1 and new cocktail bar at E2, The Hydra are ready to welcome London’s party faithful back for 2015.